Tooth mineralization as viewed with panoramic radiographs to identify pubertal growth stages? 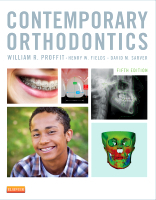 Welcome to the companion website for Contemporary Orthodontics, 5th Edition, by William R. Proffit, DDS, PhD, Henry W. Fields, DDS, MS, MSD, and David M. Sarver, DMD, MS. Here you will be able to find updates in orthodontics, references linked to PubMed, an image library for instructors, and a link to self-instructional computer teaching modules primarily oriented toward predoctoral dental students (but quite useful in residency training as well). These modules have been developed by the University of North Carolina School of Dentistry Department of Orthodontics. Now that the fifth edition of Proffit: Contemporary Orthodontics has published, the companion website for the 4th edition of this text has closed. You can use the Buy Now! link to purchase the fifth edition. Buy the new edition today!